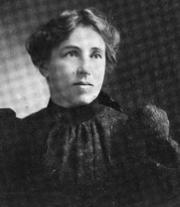 Grace Ellery Channing was an American poet and playwright whose work was much inspired by time spent living in California and also by different spells in Italy, one of which she spent working as a war correspondent (1916-18). She had a lot of work published in a magazine called The Land of Sunshine and she eventually became associate editor of this west coast publication. She actively encouraged her readers to adopt Mediterranean practices by eating well, enjoying the sun and perhaps having afternoon siestas. She was born on the 27th December 1862 in Providence, Rhode Island, the daughter of a prolific inventor of a number of technical items such as the portable electro-magnetic telegraph. The family provided Grace with a private education which led to her taking up a teaching post at her old school following graduation. This was interrupted by illness in 1885 when she went down with suspected tuberculosis. In an attempt to improve her health the family moved to Pasadena in California and this change of environment did the trick. In 1890 she set off on a trip to Europe with a good friend and this journey, taking in Germany and Italy, took three years. The year after her return she was married to Charles Stetson, an artist who had only just divorced his wife Charlotte, another of her friends. The two women were close and actually embarked on writing projects together, producing a number of plays that met with some success. Channing returned to Italy with her husband for a time, principally to enhance his art business where he made a success of selling to American tourists. Channing went back home once more, in 1918, but this time took up residence in New York. She had inherited debts from her late husband’s failed business and spent the rest of her life worrying about this and her inability to generate much income of her own. She had hoped to make money from writing at an early age, when she edited her grandfather’s memoirs, Dr Channing’s Notebook, which was published in l887. Her submissions to Land of Sunshine featured the lives of Americans migrating west, in search of spiritual and financial well-being. She also recounted her experiences of Italy, describing their lifestyles and that of English poets who had sought inspiration in Rome and Florence. One of her own collections of poetry came out in 1899, called Sea Drift. Later on her war poetry garnered much praise from readers and critics alike, but none of her work made her much money. Her earlier health problems resurfaced as well so all of this meant that her final years were not happy ones. 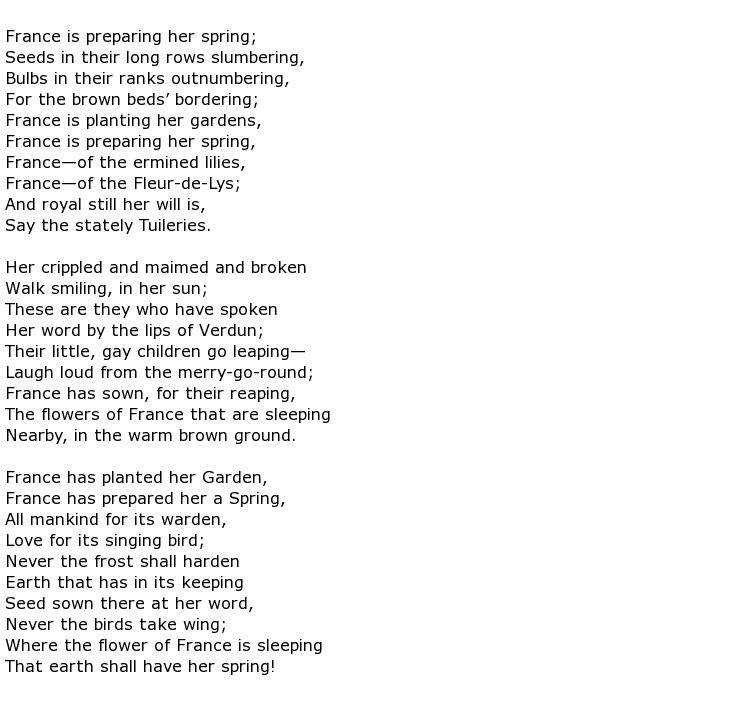 Grace Ellery Channing died on the 3rd April 1937 at the age of 74.